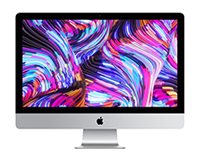 The most powerful all-in-one ever released by Apple, the iMac Pro, available to lease with 5K Retina display, up to an 18-core Intel Xeon processor & AMD Vega Graphics. Lease the flagship all-in-one iMac from HardSoft, featuring the same great technology but fitted with Apple’s beautifully clear 4K Retina Display. 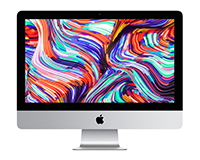 The 5K Retina iMac lease offers great performance and reliability with unparalleled visual resolution and depth. Now with Radeon Pro Graphics & your choice of 8th or 9th gen CPU. The professional desktop computer reinvented. Engineered with workstation graphics and dual GPUs. The Mac Pro offers State of the art performance across the board. 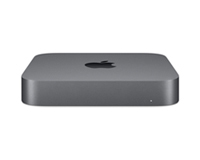 With its sleek design, removable bottom panel for easy access to memory and a space-saving built-in power supply the Mac mini is the perfect small and affordable Desktop. We Offer Apple Desktop Leasing & Hire Solutions for Business Users. 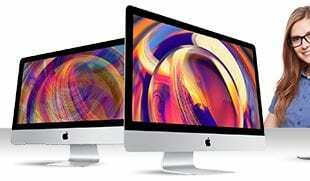 Apple iMac 21-inch & 27-inch Leasing– The Apple iMac features a 4K Retina display for the 21-inch & a crystal clear 5K Retina display for the 27-inch iMac. With its highly respected quality performance and stunning design, it is an essential piece of kit for a vast majority of designers and creative professionals. Add this elegant addition to your office at only £9.40 with a HardSoft flexible business lease. Apple Mac Pro Leasing- Released in late 2013, this Mac is expandable. Its cylinder design is unique and with its incredible specs, many consider it the ultimate model of a pro computer moving into the future. 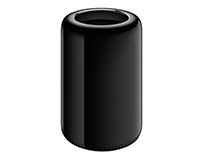 The Apple Mac Pro is available on a flexible business lease at £25.80. 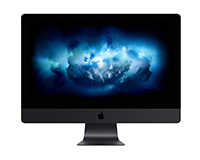 Apple iMac Pro Leasing– The fastest Mac ever featuring a choice of multi-core Xeon processors and Radeon Vega graphics that suited to VR/AR developers. Finished in Space Grey the iMac Pro is not cheap so we offer both Three and Four-year leasing on this product only. For further information, speak to our helpful sales team on 0207 111 1643 or access the live chat on the bottom right of the screen. With over 30 years experience, we can tailor a bespoke Apple leasing solution to suit your business. Are prices of your iMac leasing excluding VAT? Yes they do. VAT is reclaimable in the normal way. 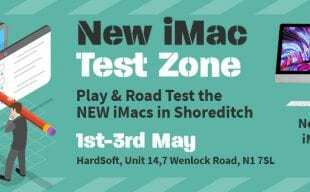 Is HardSoft the cheapest place to lease an iMac? Yes, our package is always the best value. Happy always to beat any comparable quotation. What is ‘Pure-Rental’ and why is it cheaper than the ‘Flexi-Lease’ by nearly 20%? You waiver the ownership option and we collect and sell the iMac. ‘Pure Rental’ is a bit like contract hire and there are no options to Renew and upgrade in the deal..
Are the Apple Macs new? Yes and are all the latest specs. Are there any extra costs when I lease a Apple Mac? No, though there is an Administration Fee shown on the lease paperwork. This is normally £50 and collected by direct debit. Are HardSoft officially Apple Authorised to offer Apple computers? Certainly yes and we have been for nearly ten years. Our official ID with Apple is 300206. How quick is delivery and is it free? Normally a couple of days but we should be able to deliver quicker and yes delivery of the iMac or Mac Pro is free. Can I still lease an iMac or Mac Pro if my company has a poor credit rating? Yes but will need to ask for Personal Guarantees and may ask for additional info to prove affordability. This is usually a bank statement. Any information provided is treated in the strictest confidence. I am a home user, can I still lease from you? No not on Apple Desktops. We can add Insurance and add it to the direct debit after delivery if you don’t have any policy in place. Insuring an iMac is £110 annually per iMac, which is a competitive fee on an ‘all-risks’ policy. When is the first payment? It’s three years though if you opt for the ‘Flexi-Lease’ you can choose cancel and return the Apple iMac or Mac Desktop After two years. This is subject to a £75 collection and reprocessing fee. No further payments would be made. Do I have to pay a large lump sum at the end to own the Apple iMac? Our popular Flexi-Lease scheme includes the option to own for normally £1. If you choose the cheaper ‘Pure-Rental’ then yes, you will need to buy the iMacs at the then fair market value. Yes, we can. Our DEP reference number is 6DBD7F0. Only Apple Macs and iPads from an Apple Store or an Authorised stockist such as HardSoft can be registered under DEP. HardSoft can assist with VPP as well. Do you offer an Mobile Device Management for iMacs? Yes we do we provide VM Ware Airwatch as our solution. This is approx. 80 pence per week extra per iMac or iPad. You can do but only in the first year. You will find our No Quibble three year warranty is better than Apple Care as it includes a Loan Mac whilst yours is being repaired. The Loan Mac would be a MacBook laptop of equivalent spec and is generally delivered the following day. Can I collect the order from your office? Yes, you can though it would be from our Sawbridgeworth HQ and the collection needs to be arranged in advance. Does the Financial Conduct Authority control HardSoft? Take any of these Apple Desktops on a HardSoft iMac Lease and enjoy brilliant benefits such as upgrade options and 100% tax relief. Apple iMac leasing is at a much lower rate than a bank loan and HardSoft offer the same great deals to new businesses as they do established companies. All of our Apple MacBook leases come with three years warranty. If your computer needs a repair under warranty, we will collect, repair and return all in a timely manner. We also have a pool of loan machines that you can utilise so your business can run smoothly. Our Apple lease also includes 3 years free telephone technical support. You will have access to our IT help desk to fully support you throughout the duration of your iMac lease. The HardSoft technical team are fully trained and Apple certified. On the road and in multiple locations, they are available all over the country. The Apple lease offers so much more and is so flexible! With our fantastic upgrade options you can Retain, Renew or Return your computer after just 24 months. You can keep up to date with all of the latest technology, don’t worry about falling behind! We also have a range of payment schedules to choose from, freeing up your capital and giving you more freedom to expand.